Petäjävesi is a municipality of about 4,000 people, best known for its “Old Church built in 1764. The church was actually built on land that once belonged to Lemettilä. 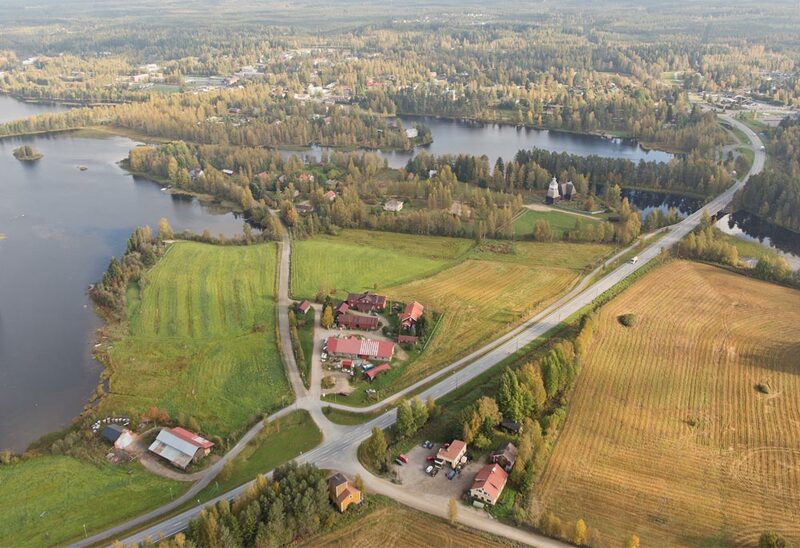 In return, the farm received land in the Olkkola area from the parish. Lemettilä farm has listed buildings, both at the county and national levels. The farm’s traditionally constructed buildings are grouped around a closed courtyard. We are also part of the UNESCO world heritage site protected area, so any renovation to building exteriors requires official prior permission from the Finnish Heritage Agency. Our churchside farm originally dates back to the 17th century, but the older main building dates from the 19th – the exact year is unknown. The newer main building was built in the 1880s, and some of the logs used for this were dragged over from nearby Multia. Between 1880 and 1920 there was an inn in this building. Meanwhile, the traditional stone barn was built by Kalle Lemettilä and it was finished in the year 1898. The main road (N23) was built in 1963, but before that the Keuruu-Jyväskylä road ran right by the corner of the house towards the current centre of Petäjävesi. Leena Lemettilä remarried after Herman died in 1860 leaving her a widow with a 10 year-old son – Kalle. 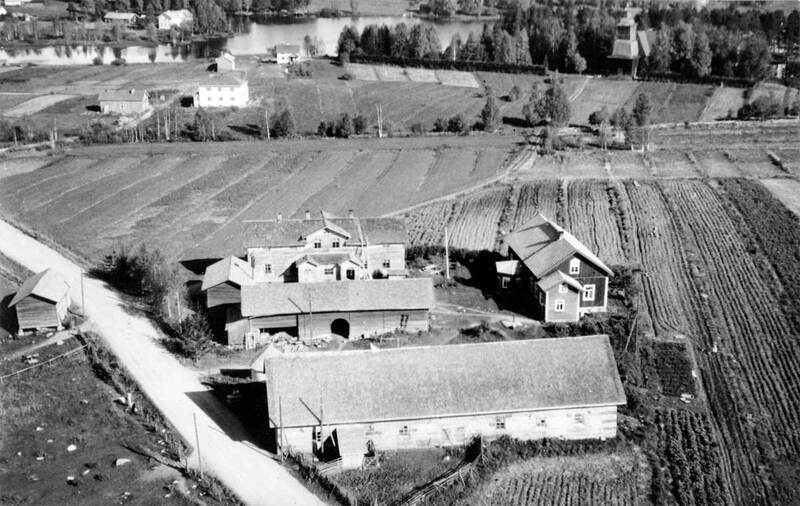 She then ran the farm together with her second husband, August Siekkinen for 14 years, until Kalle was old enough to take over the farm, at which point August and Leena moved to Ala-Siekkilä Farm in nearby Vesanka. Kalle Lemettilä ran the farm for about 50 years. With his first wife, Ida Juhontytär Kirri, he had two children –Werner and Jenny – but both died under the age of six months, and Ida herself died the same year as the younger child. 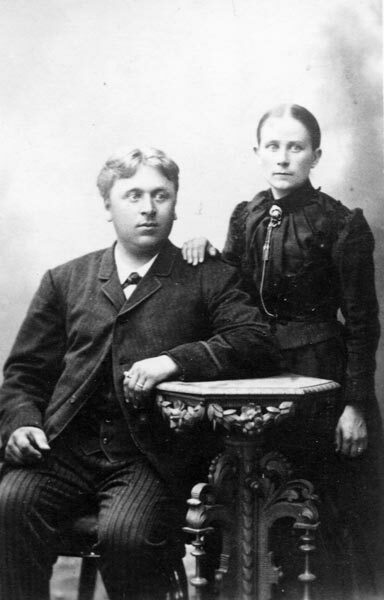 With his second wife, Ida Adele Kallentytär Puonnas (from Koskenpää), Kalle had 5 sons: Viljo, Kosti, Mauno, Eelis and Leo. Viljo eventually worked in Petäjävesi as a teacher and Kosti as the bank manager. Ida and Kalle ran a truly versatile farm together and it flourished. In addition to agriculture and forestry, there was an inn (until the 1920s), a shop, a phone exchange, and a post office. 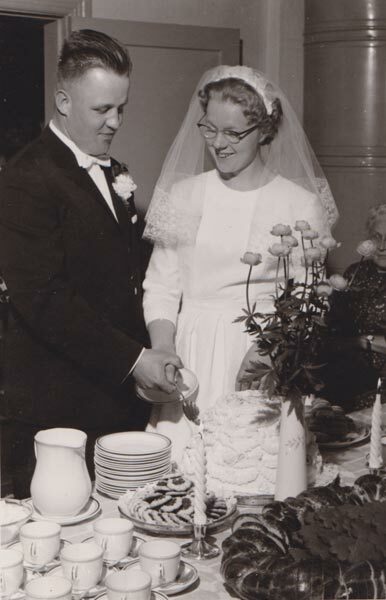 Kalle also bought shares in a nearby tar factory in Huttula owned by the husband he had helped his half-sister Jalmiina marry – she had been Leena and August’s only child together. As well as the Huttula tar factory, Jalmiina’s new husband, Nikolai Wahlgren also ran the shop and post-office at Lemettilä. 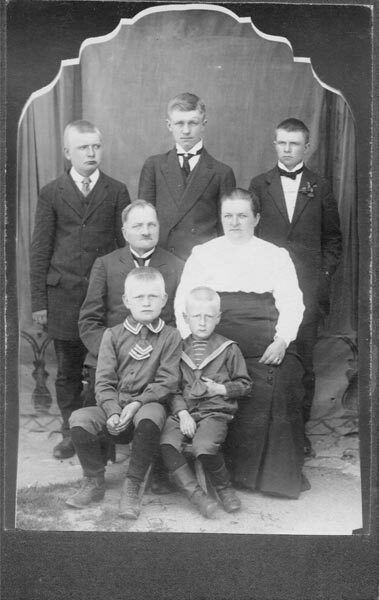 In 1894, Jalmiina and Nikolai and their four children moved to the centre of Jyväskylä to run an inn there. The inn, however, burned down, and so in 1899 Nikolai built a hotel and restaurant further down the street, eventually selling it in 1910. This well-known wooden building in the centre of Jyväskylä is still standing (see Nikolainkulma for more information). Eelis and Linda Lemettilä (née Leppänen, from Pylkönmäki) ran the farm next, and until 1962 it focused on agriculture and forestry, employing a number of families – such as the Jakonens and Salenius’ – who lived in the older main building and helped with the numerous practical tasks around the farm. Eelis and Linda had only one child, Aatto, and he took over the farm after them. Aatto Lemettilä eventually married Lea Saramäki (from Multia). Together they had three children, one of whom unfortunately drowned in 1972 at the age of 6. Until 1995 agriculture and forestry remained the mainstays of the farm, though cows stopped being milked in the mid-1990s. Between 1995 and 2011 the farm was run by a property company that Aatto set up with his children Ilpo and Hanna. In 1986, they had already built the first of the lakeside cabins, and in 1995 the Ranta-Lemettilä cabin was built, then the Sauna Cabin in 2000. By 2004 the farm gave up livestock altogether. Instead the farm now focused on cabin rental, bed and breakfast, and a summer café. Between 1997 and 2011, Hanna gained experience working full-time outside the farm in the expo and marketing business – her jobs ranging from marketing secretary to account manager. Since 2012, the farm has been run by an agricultural holding company owned by Hanna and Ilpo. As well as agriculture and forestry, they also specialise in agro-tourism. They cater for group visits, meetings, and family occasions. In 2013 the old stone barn was renovated and converted so that it had a restaurant area for 50 people and two en suite rooms within its walls.